Ash Wednesday is just around the corner, and if you’re looking for some great meatless meals to enjoy during this Lenten season, you’ve come to the right place! While each family observes Lent in their own unique way, many families will choose to abstain from eating meat on Fridays during Lent. If your family typically loves pot pies, meatloaves, goulash, and more, that could make this season particularly difficult from a cooking standpoint. There’s always the worry that meatless meals aren’t going to be as filling or as satisfying. We’re here to quash those rumors and show you just how much variety you can have with dinner–even when you can’t cook with meat! Pasta is our favorite way to add a hearty, filling ingredient to dinner when you’re trying to avoid meat. You can add variety by experimenting with different shapes and veggie add-ins! 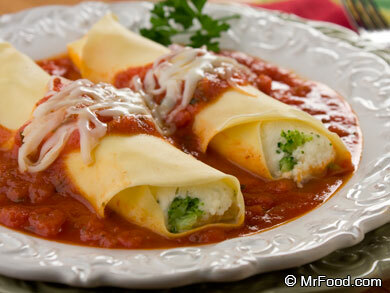 Broccoli and Cheese Manicotti (shown above) – Don’t get intimidated by this fancy Italian dinner. It’s actually not that difficult to make and makes for an impressive meatless dish! Garlic Tortellini – This is an easy recipe to adapt after Lent is over. Pick out your favorite kind of tortellini and add a few spices to make one unforgettable meal. Lasagna Rollups – Take a break from your traditional pasta dish and try out this delicious rollup variation! Even though you need to give up meat on Fridays, you can still enjoy your favorite seafood dishes all season long! Check out some of our favorite ways to cook with seafood. No-Fuss Salmon Casserole (shown above) – We love making casseroles year-round because they’re great to have as bring-along dishes! Whether you’re heading to a church potluck or a family member’s home, they’re easy to reheat and serve! Sizzling Shrimp Stir-Fry – More interested in shellfish than salmon? That’s okay–our easy shrimp dinner can be whipped up in a flash, so you won’t have to spend all evening in the kitchen! Buttermilk Fish Fillets – If you’re looking for a seafood recipe that’s not “too fish-y,” a white fish recipe is usually the way to go. These crispy Buttermilk Fish Fillets are exactly the way to go, especially when served alongside some coleslaw! If you’re looking to go ultra healthy this Lenten season, we’ve got plenty of veggie-loaded recipes to satisfy your appetite! Roasted Vegetable Pizza (shown above) – Friday nights are pizza nights in many households. Just because you’re giving up meat for a few weeks, it doesn’t mean you have to give up your beloved pizza nights! 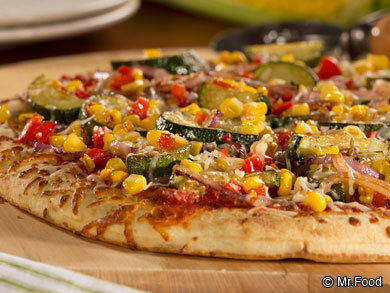 This veggie-loaded pizza is full of flavor! Baked Eggplant Parmigiana – Eggplant Parmesan is a five-star restaurant favorite that you can easily make right at home. The bread crumbs add a wonderfully crispy coating that’ll make this one a surefire hit. Overstuffed Grilled Veggie Hoagie – Sandwiches aren’t just for lunch! This hearty dish is jam-packed with all of your favorite veggies, making it one of our most filling meals. Looking for even more fantastic recipes to make during Lent? 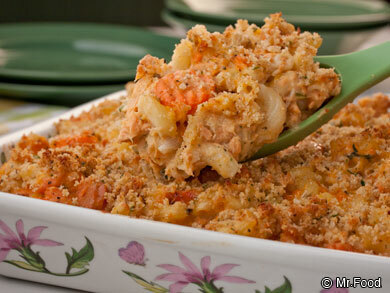 We’ve got even more great ideas in our collection of the Top 14 Meatless Meals for Lent. What’s your favorite meatless meal to cook? Let us know in the comments below!